Lush & Lovely is a Cleveland-based artisan floral studio in the historic neighborhood of Ohio City. Celebrating the romantic and bountiful world of flowers and design, we offer hand-tied bouquets and wild garden arrangements, flower arranging classes, floral design workshops, private parties and events, as well as, floral-based gifts, floristry supplies, handmade artisan items and, of course, fresh cut flowers by the stem. 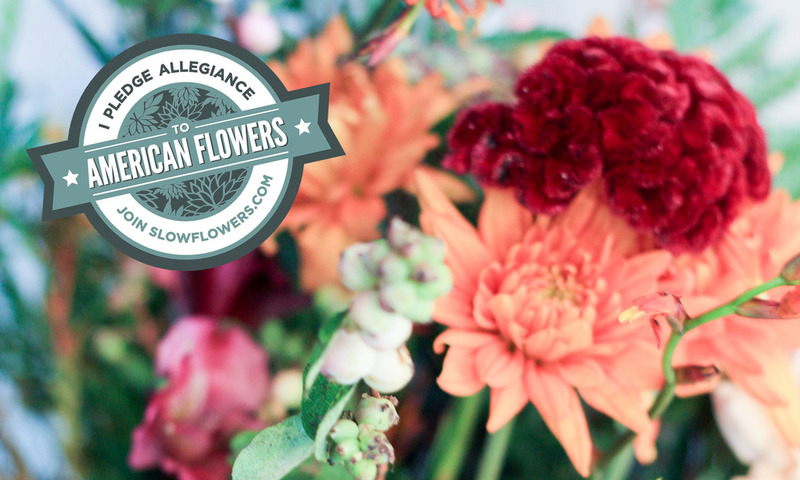 We are committed to using American grown flowers when attainable, so the flowers we have to offer are always changing. That's what makes it so fun! Whether we source directly from our local Ohio flower farms, forage our own foliage, or work with west coast growers, you are guaranteed the freshest cut flowers we can offer. Stop by the studio or continue your visit online. Either way, we're happy you're here! Here at Lush & Lovely, we are committed to using grown-in-the-USA flowers in support of our American flower farms and join the American grown flower movement. Whether we source directly from our local Ohio flower farms, forage our own foliage, or work with west coast growers, you are guaranteed the freshest cut American grown flowers and foliage we have to offer! By staying close to home, Lush & Lovely strives to minimize environmental and social impact. US grown flowers support our diverse eco system and are a HUGE benefit to our local pollinators (save the bees!). By offering fresh beautiful blooms we hope you are encouraged to see the beauty in each season and celebrate the diverse range of products available from our flower farmers near and far. Proud Member of the Slow Flowers Community.